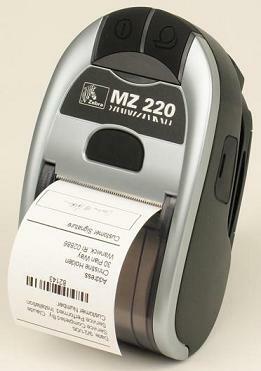 Light-duty-cycle receipt printer for simple receipt printing applications. Its compact size and sleek design are ideal for applications where the user will be wearing the printer for extended periods, or for customer-facing environments. Perfect for price-sensitive customers. Ideal for users where the RW series is a bit too expensive, too big, or have more bells and whistles than needed. Workforces can benefit from MZ series compact convenience in these applications: Field repair, deliveries, mobile point of sale, parking citations, utility billing, and meter reading.